Representing longtime clients like Steven Tyler, of the band Aerosmith, and newer artists such as deadmau5, and solving complex legal and business issues relating to contracts and copyright law is all in a day’s work for Dina LaPolt ’90 (Music). LaPolt, who was named one of this year’s power lawyers by The Hollywood Reporter, owns and operates LaPolt Law, P.C., a boutique transactional entertainment law firm in West Hollywood, Calif. The firm specializes in representing recording artists, songwriters, producers, musicians, authors, writers, photographers and actors. LaPolt, whose love for music began in high school, credits her participation in running the College’s Concert Committee, then called Jedi Productions, for helping to further develop her career interest in music. 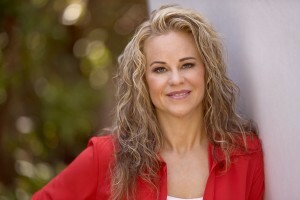 Prior to becoming an attorney, LaPolt was a musician and served as talent buyer/concert promoter and a personal manager, all of which, she says, have allowed her to bring a unique insight to the practice of law. In addition to practicing law, LaPolt serves as one of the attorney advisors to the Grammys Creator’s Alliance and is an activist for creators and celebrities in the areas of privacy, copyright and fairness in radio. She also teaches a class titled “Legal and Practical Aspects of the Music Business” at the UCLA Extension Program and served as the editor of Building Your Artist’s Brand as a Business, published by the International Association of Entertainment Lawyers in 2012.